GURU redefines modern Indian cuisine. Our focus from the start has been to create seasonal, modern Indian dishes and drinks, served in a relaxed space. 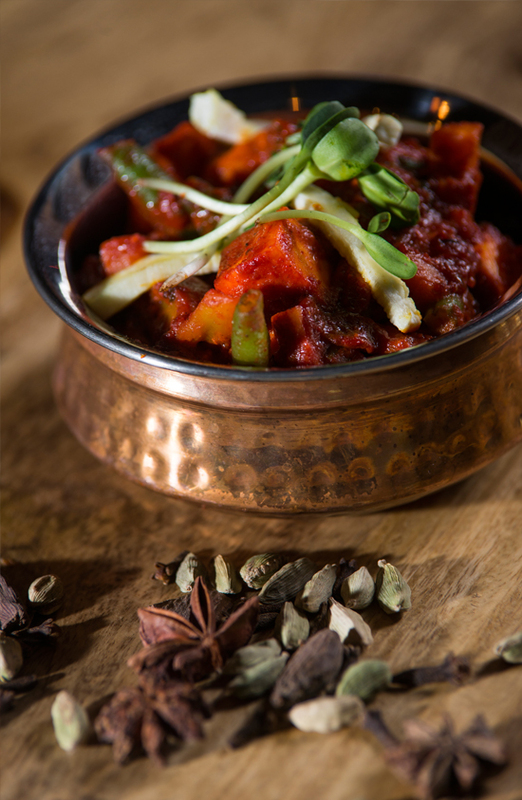 Our dishes combine local seasonal ingredients with the authentic flavors, aromas and spices of India and the orient. WE CHOOSE THE PEOPLE we work with very carefully, especially our suppliers when it comes to sourcing our ingredients. Our eggs, chicken, Beef, lamb and Pork are sourced from registered, certified, best practice farms. We serve the best available fish and seafood. No compromise on wonderful quality! All our food is complemented with carefully sourced wines, complimentary to our dishes and meet your exacting standards. Our cocktail menu at the bar promises an extravaganza of tastes with signature famous cocktails such as our GURU MOJITO and MISS INDIA. The restaurant is in the heart of Central Warsaw on Widok street and in the vicinity of the iconic Rotunda and L’Institut Français de Pologne. We look forward to hosting you at our Restaurant, which is open for Lunch and Dinner from Sunday to Thursday : 12:00 - 22:00, Friday & Saturday : 12:00 - 23:00. Excellent location makes it very easy to find us. We are in the very center of Warsaw, close to the Palace of Culture and Science. You can easily get to our restaurant by means of communication - tram, bus or even metro. This is a place that thousands of Varsovians love, especially during weekends and free afternoons.